The most obvious comparison to make with Penny Dreadful is surely League of Extraordinary Gentlemen, which did some things well and some things badly. (The ending of League was pure stupid on buttered toast.) Both feature characters and settings from Victorian England. But Penny Dreadful is not a ripoff of League. Or if it is, then it does whatever League was striving for and does it far better. When I first started to watch the show, I thought it didn’t know where it was going. Now, I realize the show wasn’t the problem. I was. That’s because I didn’t understand the show’s central conflict. You could say that I was paying attention to the wrong things and waiting for the story arc to turn on the wrong axis. 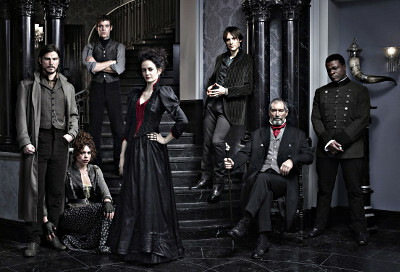 Here’s the secret to Penny Dreadful: It isn’t about killing vampires or rescuing Mina. These are just the things that get the characters working together on screen. Instead, Penny Dreadful is about the monsters within us all. This isn’t unusual by itself, but the show truly revolves around this theme and focuses on it almost exclusively. The battle against external monsters all but slips into the background. If you pay too much attention to this outer conflict, you’ll miss the good stuff and be underwhelmed. There’s only so much I can say without spoiling it for you, but a closer look at the major characters will give you some things to think about when watching the show.